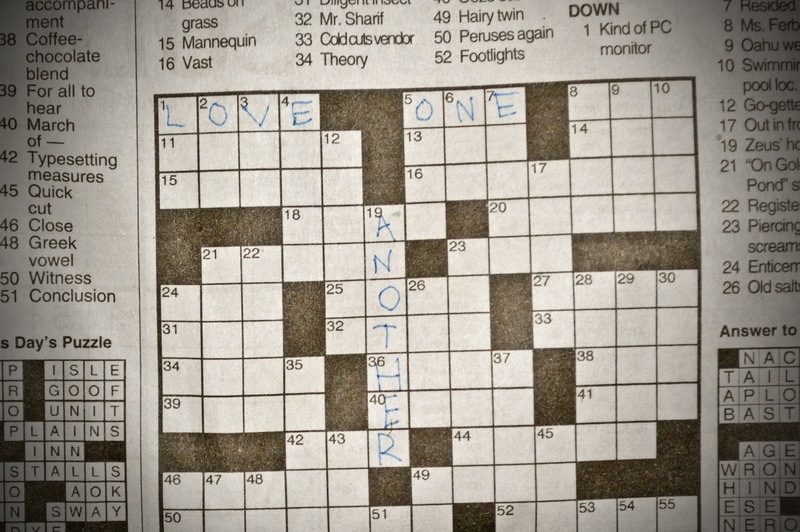 Crossword puzzles are not my strong suit. Don't get me wrong, I know all kinds of useful and useless facts, just not the ones the puzzles usually call for. So in the spirit of "coloring outside the lines" and for the sake of this project, I've used your everyday newspaper crossword puzzle as my platform today. All that matters is the message getting out. I hope you enjoy my variety of attempts to do that. Have a great day!